From the site kevfett linked: I had not seen this boxed before. 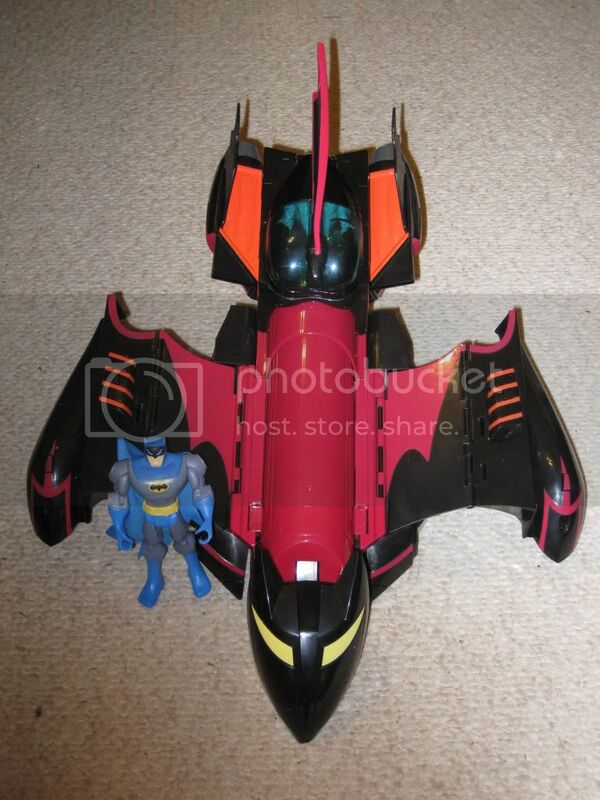 Actually I have seen the two pack in question for sale on Amazon.com as well as the transforming Batmobile/Batjet. I was tempted to order both but I want to wait and see how much both toys go for at the local stores first. 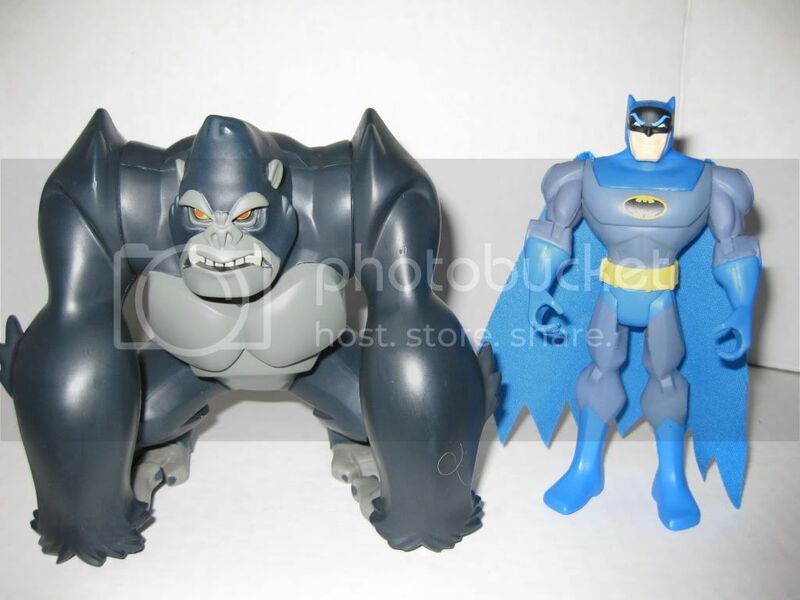 I ordered and received both the transforming Batmobile and the Grodd set from Amazon last week. 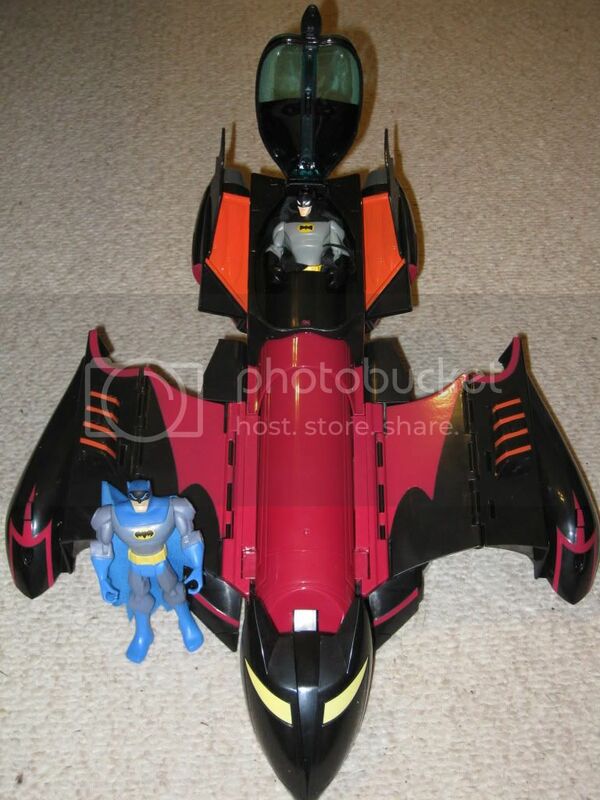 The transforming Batmobile is amazing. 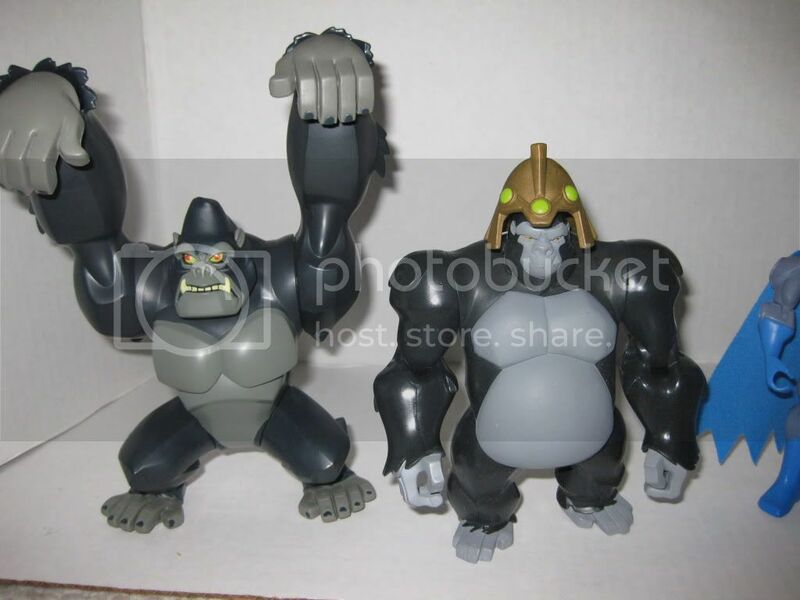 I'm fairly impressed with the Grodd set too. I shot some pictures, and also included some other lines for comparison at the request of various folks, including "The Batman" and JLU. 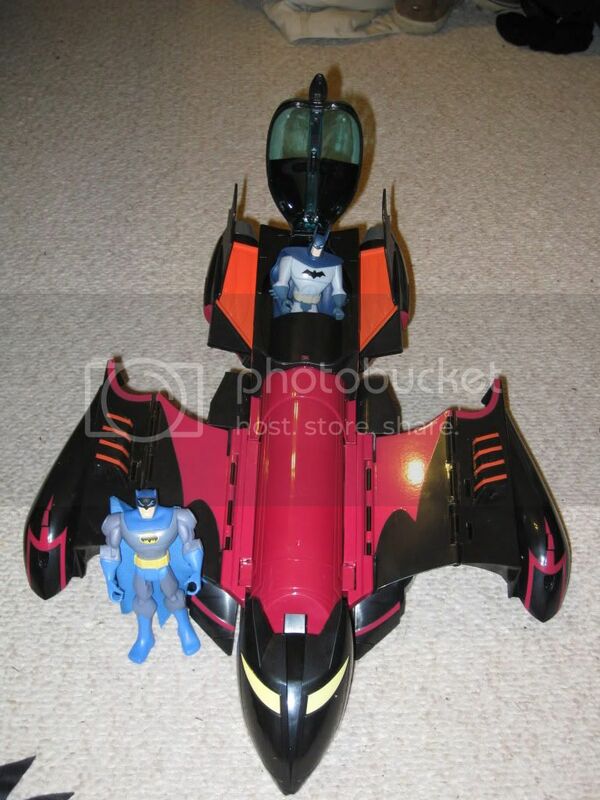 The Batman fits in the cockpit with a little finagling, but looks pretty good. 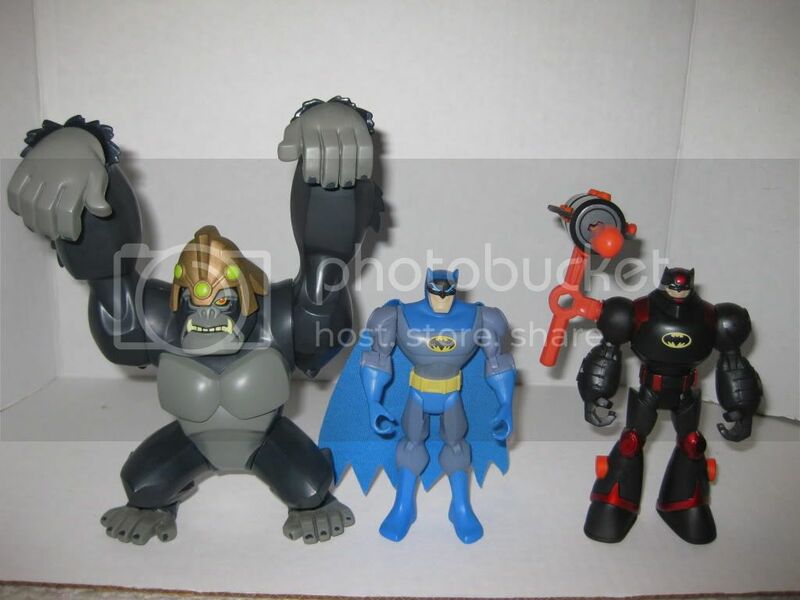 Also, Grodd really looks nice with The Batman line. JLU Batman's cape keeps him out. 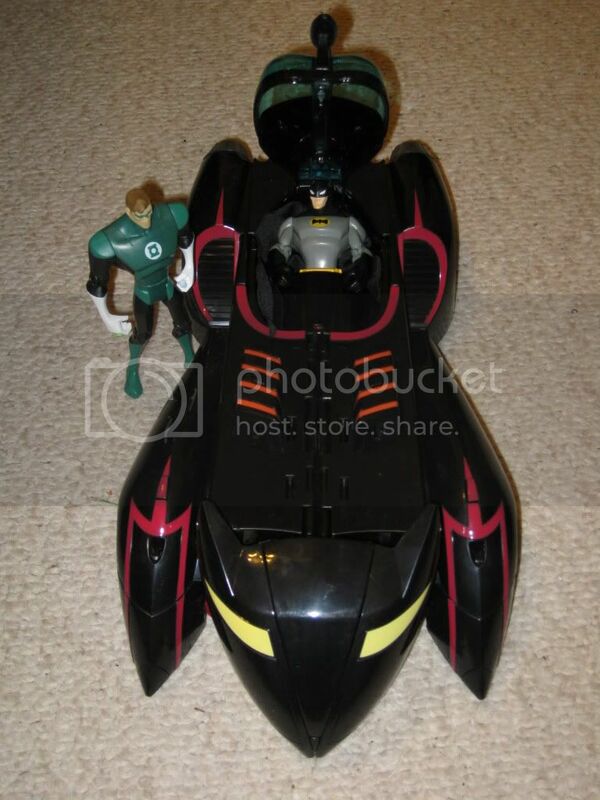 I couldn't put my hands on a BTAS Batman in a hurry, but I bet he fits in there pretty well. The good: Grodd has no hex holes in him at all. 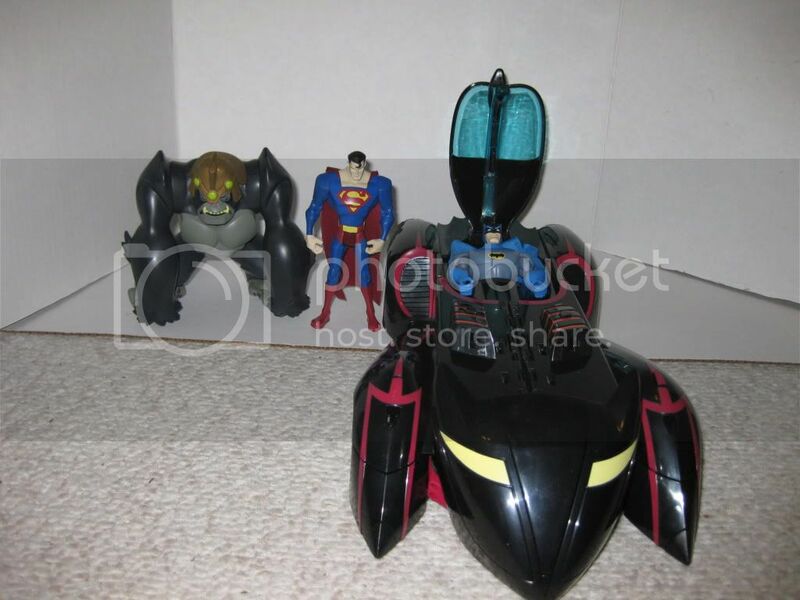 The armored Batman with him is pretty cool, too. The ugly: Those hands. They are frozen in that position, and it's stupid. Apes don't walk on the backs of their hands, they walk on the knuckles. The hands are a separate plastic piece from the arms, though, so if I manage to get a second one, I will immediately reposition those suckers. Last edited by Bryan Long on Wed Jul 22, 2009 4:15 am, edited 1 time in total. 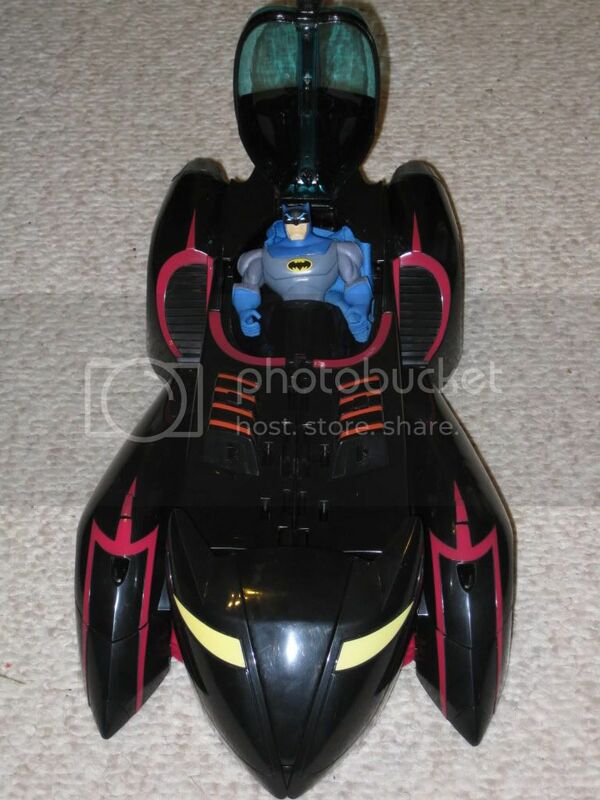 I so want that batmobile, but have been waiting for it to hit locally so I don't have to put my credit card online.